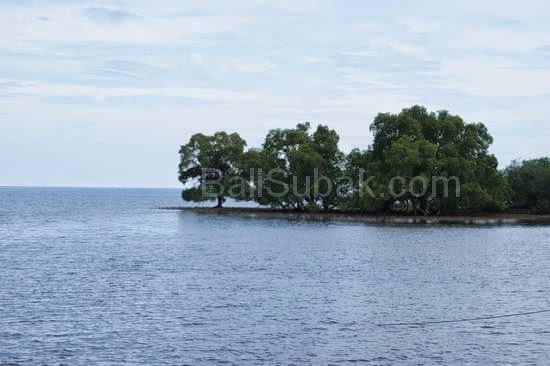 If you want to Menjangan Island, had to use a boat. Not hard to get a boat to take us to the island of Menjangan. 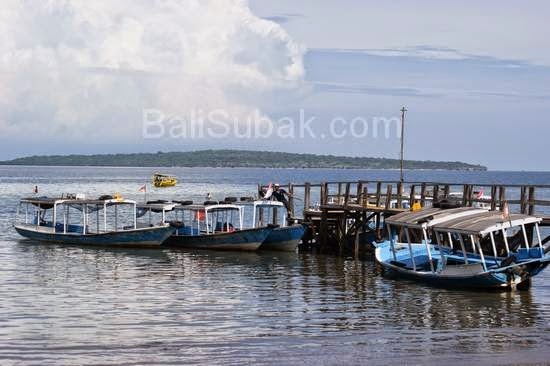 Can through Gilimanuk port, from port in Sumber Kelampok, or through a special port to deliver the Menjangan Island, is through the Teluk Terima Port. Teluk Terima port located in Buleleng regency. It is located about 15 km from Gilimanuk, to the north, via the road to the city of Singaraja. Located in the protected areas in West Bali National Park. Located alongside the highway. Tuluk Terima port is very easy to find. Because in addition to the port, besides Teluk Terima port no way around it. At the port there dive equipment rental place. Tourists who want to dive around the island Menjangann can rent diving equipment in this place. The rent is also quite cheap. Diving equipment rental package usually includes a boat and driver that will drive you into the sea. You can use the facilities of diving and boat for five hours. In addition to dropping off divers, boats in the Teluk Terima port also used to transport people who want to pray at the island Menjangan. In Menjangan island, there are several Hindu temples that have been in existence since hundreds of years ago. One of the most stunning Hindu temple is a Ganesh temple. This temple is located right by the sea, on top of a cliff. There is a very large statue of Ganesha facing south. This statue can be seen from the strait of Bali.